Hey everybody! Here’s a recipe for a truly AMAZING S’mores Milkshake!!!!!!!! IT IS SO DELICIOUS! I could live on it!!! Step 1 : Set the Vanilla Ice cream out to soften. That way, it is easier to scoop out. 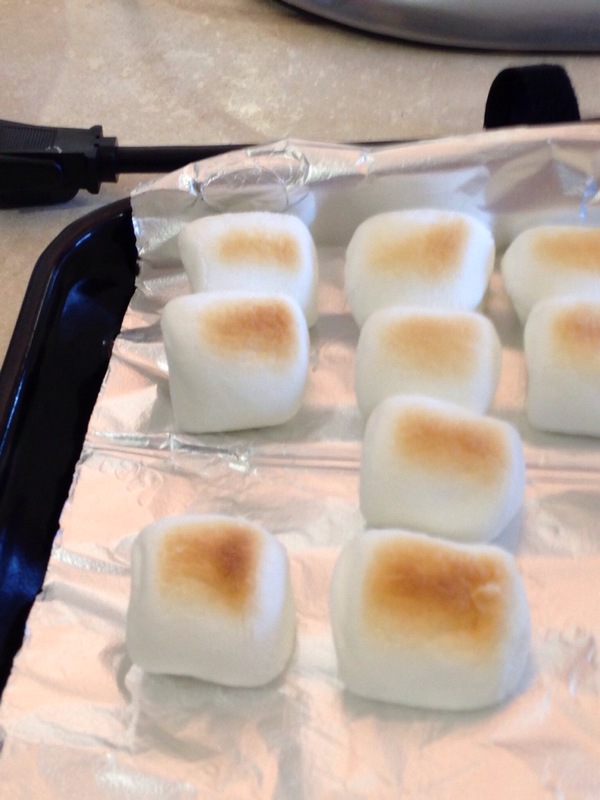 Step 2: Get your marshmallows and put them in the toaster oven on broil. 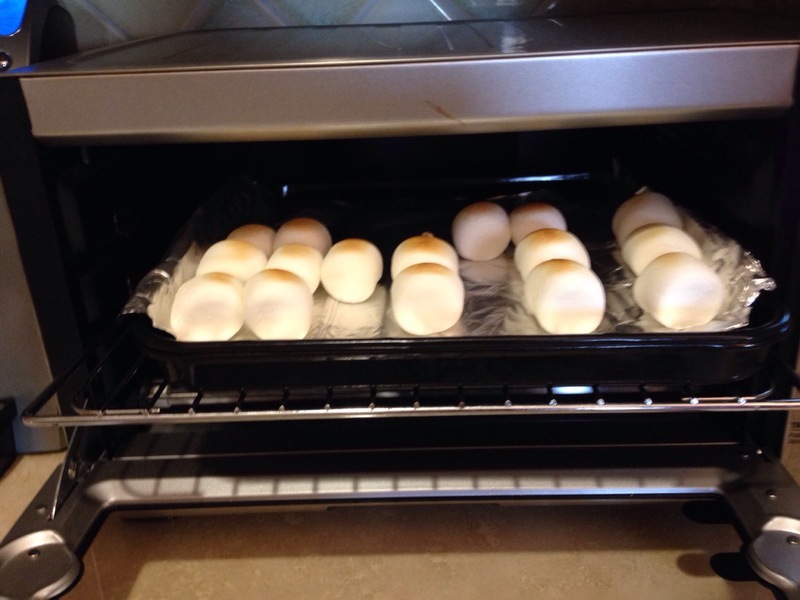 Ours took about 1 1/2 minutes to become perfectly toasted (literally they were PERFECT)! 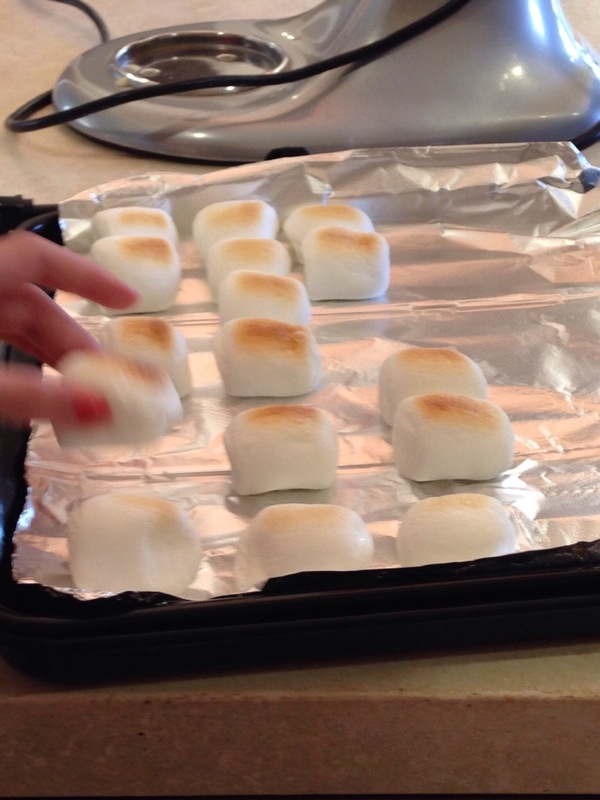 Step 3: Select a few special marshmallows to place on top of each of the s’mores milkshakes. 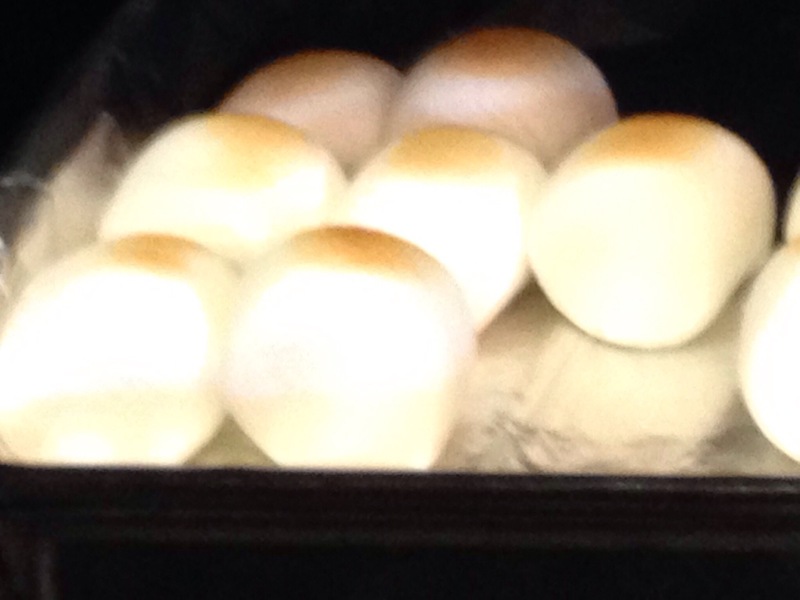 Step 5: Add in the toasted marshmallows and blend them in. 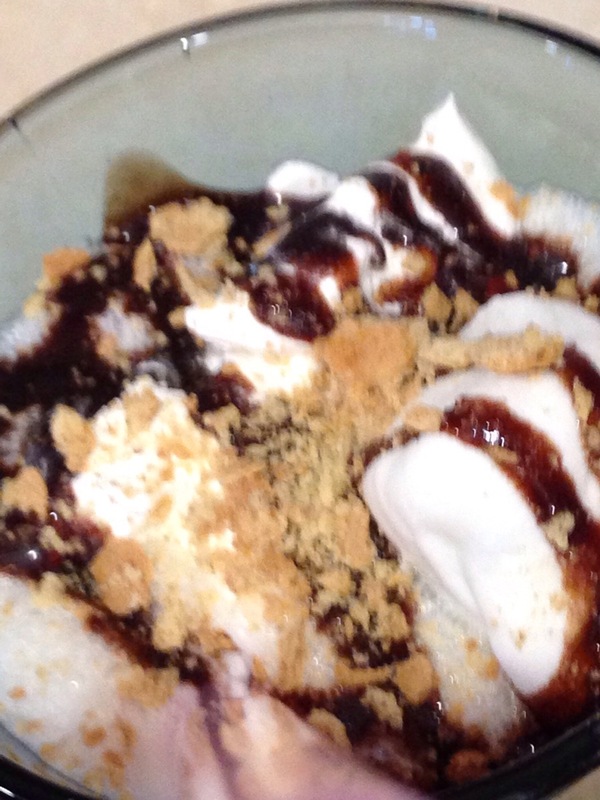 Then, add some cool whip and blend that with the ice cream , milk ,and marshmallow mixture. 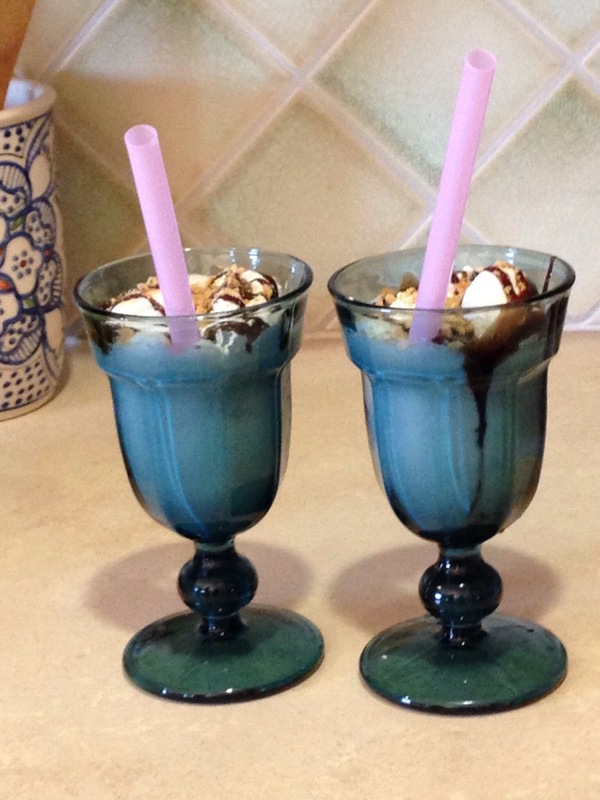 Step 6: Pour into milkshake glasses and drizzle with chocolate sauce and crushed graham crackers. Step 7: Garnish with a toasted marshmallow and enjoy! All Up in the Action!